From the earliest extant copies, probably a little before 1300, the outline they gave for the Mediterranean was amazingly accurate. In addition, their wealth of placenames constitutes a major historical source. Their improvement over the Ptolemaic maps relating to the same area is obvious at a glance, and the North African coast with its clearly defined Syrtes is the most striking advance. 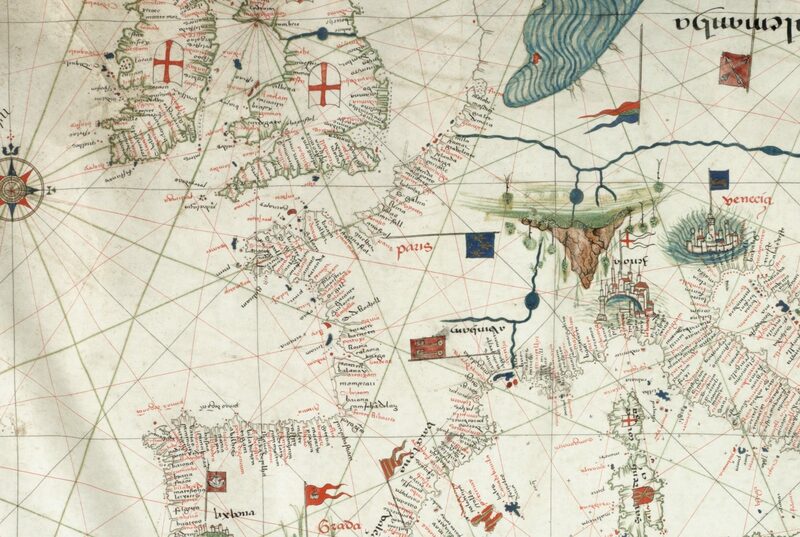 Moreover, the Ptolemaic maps began to circulate widely through Europe only in the fifteenth century, by which time the portolan charts were well established. Though a linear scale was implied on Ptolemy’s maps by their grid of longitude and latitude, the medieval sea charts were the first cartographic documents to regularly display one.